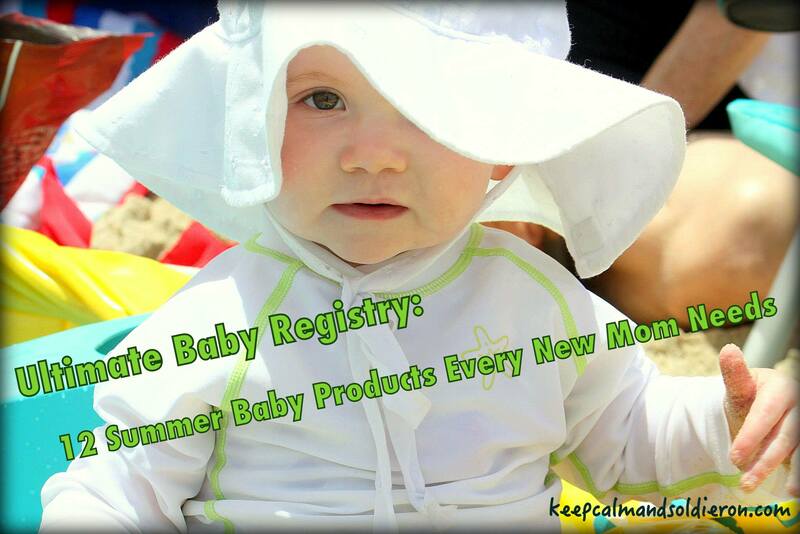 My tried and true summer baby must-haves need to be on your new baby registry. 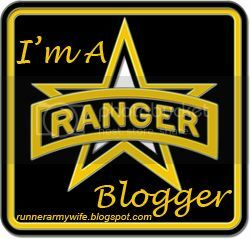 They’re all approved by my summer baby, Madeline (born July 12, 2012)! Just click on all photos and/or product names to find out where to purchase. FYI: I have not been compensated by any of the brands endorsed below. 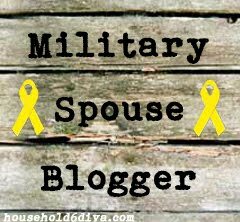 These are my own recommendations, baby-tested and mom-approved. 1. 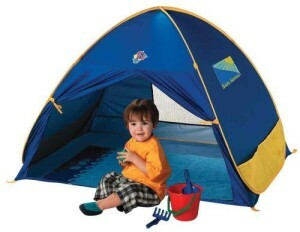 Schylling Infant UV Play Shade – This pop up tent is a breeze to set up for a day at the beach or at the family BBQ. The best feature? It’s big enough to park a stroller inside. Think shaded, wind-shielded nap time for your teeny beach bum! Then think uninterrupted beach reading for your bum! 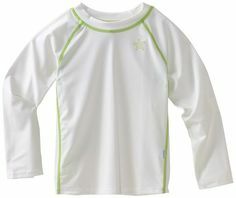 2. i play Infant Long Sleeve UPF Rashguard Shirt – When your baby isn’t old enough to wear sunscreen (before six months of age), UPF clothing is a life-saver…literally. This swim shirt was our go-to for our July baby, and remains high on our keep-clean list, for times when we’re too lazy to lather her up in sunscreen for a romp outside. 3. 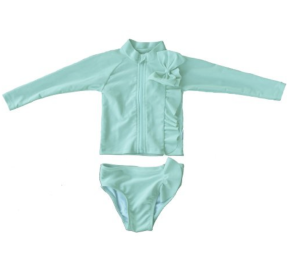 SwimZip UPF Swimwear – Imagine your cold, exhausted, crying baby at the end of a long day at the pool. Now imagine trying to wrangle her out of her wet swimsuit. Please, let me save you from that gong show. Invest in two-piece zip-up (UPF) swimwear. Yesterday. 4. 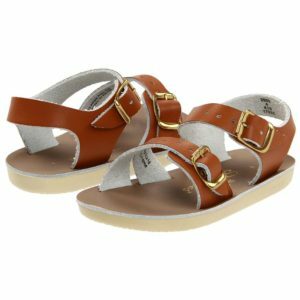 Saltwater Sea Wees – These quality, soft-leather, rubber-soled sandals are the holy grail of summer shoes. They are comfortable (no blisters), don’t smell when little feet sweat in them and are water-friendly! They run big, so order a size down. 5. 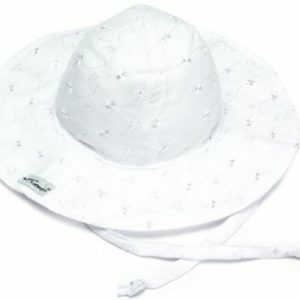 Flap Happy Baby UPF Floppy Hat – Babies in sun hats are the best kind of babies. Their heads, necks and faces are protected from the sun, they squint less, they keep cooler in hot weather and they look the cutest. This tie-on hat, double-knotted, stays put, besting even some of the most Houdini-esque babies I’ve met. 6. 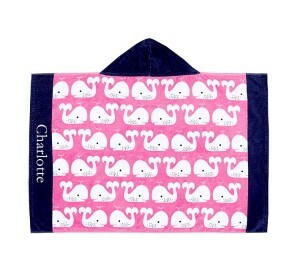 Pottery Barn Kids Nursery Wrap – You can’t go wrong with PB Kids’ quality and chic design. Wrap your little swimmer up from head to toe and snuggle away, while you still can! 7. 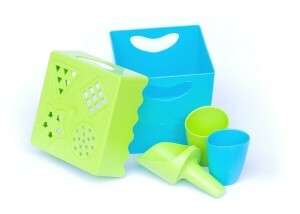 Zoe B Beach Toys – BPA free, biodegradable plastic toys, perfect for little hands exploring water and sand. In the off season, we take ours to the park! 8. 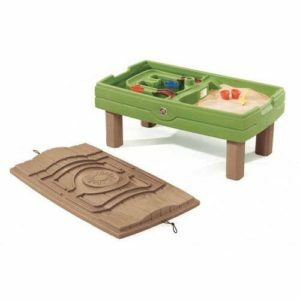 Step 2 Sand and Water Table – The perfect height for tots starting to pull up and cruise, with staying power for years more of play, this table provides hours of outdoor fun when you don’t feel like shlepping to the pool. And it comes with its own umbrella! Pro-tip: This is just as fun with water on both sides of the table…save yourself from sand! 9. 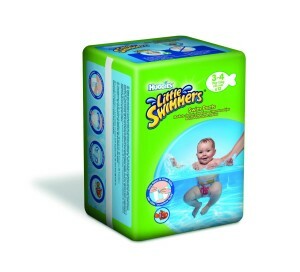 Huggies Little Swimmers – Disposable swim diapers at their finest. These little guys keep waste contained while baby takes a dip in the water, plus they tear off at the sides for quick removal! Awesome for tiny babies, since their bathroom habits are so unpredictable. 10. 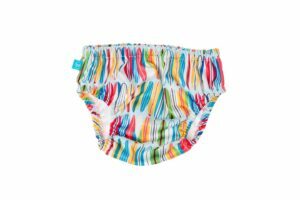 Honest Company Swim Diaper – These adorable, reusable swim diapers are the perfect transition between Little Swimmers and “no-diaper necessary.” They’re less bulky and more comfortable for baby, but are still there to keep things contained ICEP (In Case of Emergency Poop). We always opt for reusable if we’re headed to the water after Maddie has already taken care of business for the day. 11. 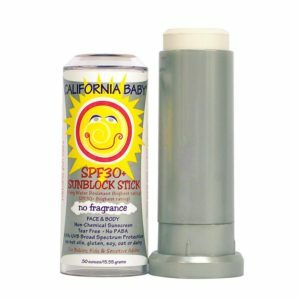 California Baby Sunscreen Stick – Broad spectrum, creamy, fragrance and tear-free sun protection. The easiest way to apply sunscreen to your baby’s face. A few swipes of the stick on the cheeks, nose, forehead and ears, a quick rub in and they’re good to go! 12. Aveeno Baby Sunscreen SPF 55 – Recommended by my dermatologist for babies 6 months and older (always consult with your own baby’s doctor! ), this broad spectrum sunscreen is fragrance free, non-greasy and gentle on baby’s delicate skin, i.e. perfect for our eczema-prone baby. Don’t forget to reapply- every two hours, directly after bathing and toweling off and after excessive sweating!